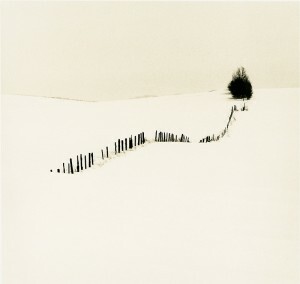 ‘A Walk on the White Side’ provides a collection of glimpses into the soundless, minimalist world of winter, where snow isolates, obscures and simplifies, leaving a calligraphic landscape largely devoid of midtones. 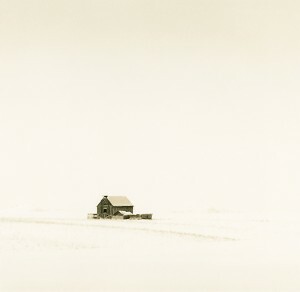 Shot on film, often in lonely or remote areas in temperatures of -20˚C or less, Tim Rudman’s ‘faux lith’ prints here are made on silver-based paper in the traditional darkroom and are chemically toned, both for the aesthetic and to ensure maximum archival permanence. Tim is well known internationally for his pioneering work in Lith Printing and distinctive toning methods of Black & White silver gelatin prints, authoring a number of books and hundreds of articles in this field. He exhibits his work internationally and teaches in every corner of the globe.